An incredibly fresh, lively 2003 (the pH is only 3.6 and the alcohol is 13.1%), this wine offers a dense ruby/purple color along with full body and a remarkable nose of black currants, kirsch, lead pencil shavings and vanilla. Opulent, full-bodied and close to full maturity, it is a seamless classic that will age for 15-20 more years. Kudos to the Delon family for such a brilliant achievement in a tricky vintage. Tasted at Bordeaux Index's "10-Year On" tasting in London. 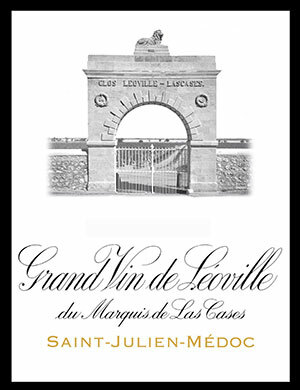 Perhaps unsurprisingly, the Las-Cases has the most complex nose of the three Leovilles with beautifully defined blackberry, wild hedgerow, leather and black truffle scents that waft seductively from the glass. The palate is medium-bodied with plenty of pure dark cherry and boysenberry fruit stuck through by a keen thread of acidity. This is very composed, very animated with a long, sensual finish. Superb. Tasted March 2013. Incredible nose of crushed berry, licorice, violets and lightly toasted oak. Pure crÃ¨me de cassis. Full-bodied, with big, velvety tannins and a long, long finish. Solid.